With so many aspects of the esthetic community constantly changing, there is no such thing as having too much education. Elizabeth Donat, founder and CEO of EMD Skin Solutions is a walking example of this. 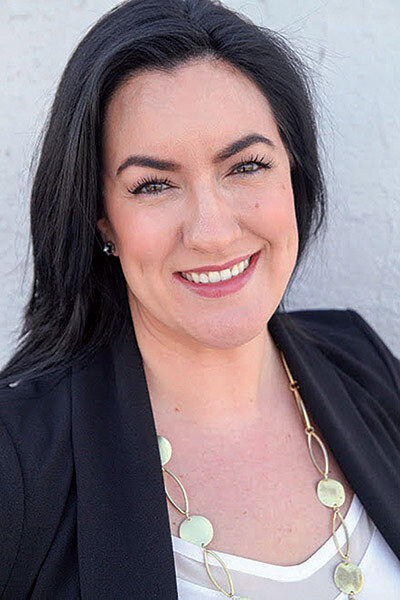 Her love for the beauty industry fueled her to become a licensed esthetician, where she learned that the only thing she loved more than beauty and skin care was teaching and inspiring other estheticians. With over 20 years of experience in the industry, Donat went from being an instructor to regional trainer to owner of her own consulting company. She sat down Skin Inc. to discuss why teaching lights her up, why we are first and foremost service members and why we should cherish our professional relationships. Skin Inc. (SI): How did you get started in the spa industry? Elizabeth Donat (ED):It all started with makeup, from a very young age. I wasn’t interested in sports, or most children’s toys; all I cared about was getting my hands on whatever makeup I could find around the house. I enrolled in esthetics school in New York City shortly after I finished my undergraduate degree and came to terms with the fact that the law school track was not for me. It was my sister Jenn who helped me realize that the beauty industry was my true calling and encouraged me to go to esthetics school to follow my life-long passion. It all took off like a rocket as soon as I enrolled in esthetics school, and I never looked back. SI: What lessons have you learned in your 20 years of experience in the industry? ED: One of the biggest lessons that I have learned is to cherish every professional relationship that is presented to you. Your teachers, fellow classmates, bosses and coworkers all become part of your permanent professional network that will make or break your future in the industry. Take it seriously. Follow-up and send thank you notes. Also, don’t forget that the beauty industry is under the larger umbrella of the service industry. Your job is to be of service to others. So, drop your ego, remember to smile, put your problems aside, listen and find common ground in every interaction. Lastly, I have learned that I am enough. I always felt that I had to have a big title or fancy degree to impress others or to be successful, but it’s simply not true. I realized that the path that I was on already as an esthetician was enough, and it has proven that to me over and over again throughout the years. SI: What inspired you to create your consulting business, EMD Skin Solutions? ED: Teaching lights me up and feels like home, and I wanted a business where I could literally teach all the time. After many years of working in the industry and teaching esthetics, I wanted to create a platform that would make the world my classroom. 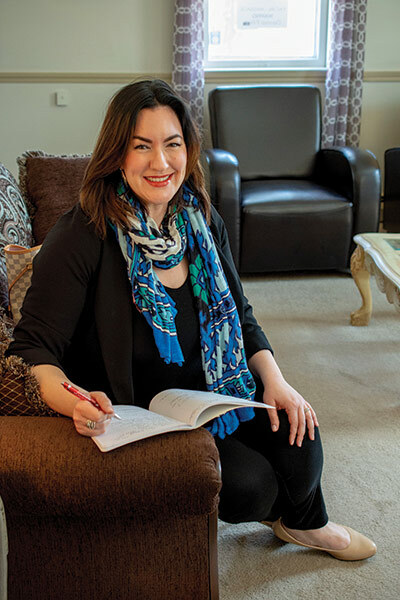 Consulting became an extension of my love of teaching, writing and speaking; it gave me the ability to help other estheticians and spa businesses thrive. SI: Who were some of your greatest mentors? ED: The one-and-only Annette Hanson is one of my greatest industry mentors and sources of inspiration. She is a living legend in the esthetics industry, and I was lucky enough to call her my teacher, boss and now mentor. Hanson shaped my life and showed me that excellence in every aspect of esthetics is paramount. She taught me that being an esthetician is a powerful, lucrative and fulfilling career, and I would not be where I am today if she had not taken me under her wing. I also have tremendous gratitude for Seven Brown, Tracey Byer, Oxana Vollenweider, Sarah Clark, Jennifer Shaw and Karine Wielock who are all fellow licensed estheticians, industry leaders and wonderful sources of inspiration. SI: What has been your greatest accomplishment thus far? ED: By far, my greatest accomplishment has been being recognized as a leader and expert writer in the skin care industry. The fact that I am being featured in Skin Inc. Magazine is blowing my mind right now! Seeing my quotes in different major publications feeds my skin care soul. What better than to take what I have learned–the good, bad and the ugly–and share it with the world. SI: What advice would you give to someone looking to become and esthetician? ED: Go for it! Make sure to do your research and get the best education that you can find. Getting a proper education in esthetics is so crucial to your success. Your role as an esthetician is not just to learn the material in school; it’s to keep learning it year after year and job after job until you come close to perfecting it. Esthetics is a professional vocation and a time-honored craft. It takes years to learn your skill-set, and you will need lots of mentors, so stay curious, open minded and humble. SI: What do you enjoy about the spa industry? ED: I enjoy the fact that the spa industry is a global industry. You can travel the world and find spa inspiration almost everywhere. The spa industry provides services to people that make them feel relaxed, comfortable in their bodies, beautiful and whole. It invites all races, ages and walks of life to come together for something that is positive, nurturing and fortifying. ED: Don’t be intimidated by successful people, and don’t be afraid to put yourself out there. I used to think that I was bothering people like bosses and mentors when I needed help or guidance. I would be massively intimidated by those who were advanced in their careers and assumed they wouldn’t have time to help me, or that I was pestering them. I was so wrong! SI: Where do you see the future of the spa industry? ED: I am seeing two very interesting extremes. Natural and holistic beauty is becoming the most natural and holistic it has ever been and high-tech beauty is the most high-tech it has ever been. There are so many high-powered gadgets now, and injectables are lasting longer. On the other hand, if a consumer is after vegan, gluten-free, cruelty-free or paraben-free products and services, they have tons of options. The future of the industry is so exciting because it is completely inclusive. We will also see so many more virtual and digital modalities being used in lieu of everything being face-to-face. Don’t get me wrong, the power of therapeutic touch will never become obsolete, so people should be encouraged to enter this industry.